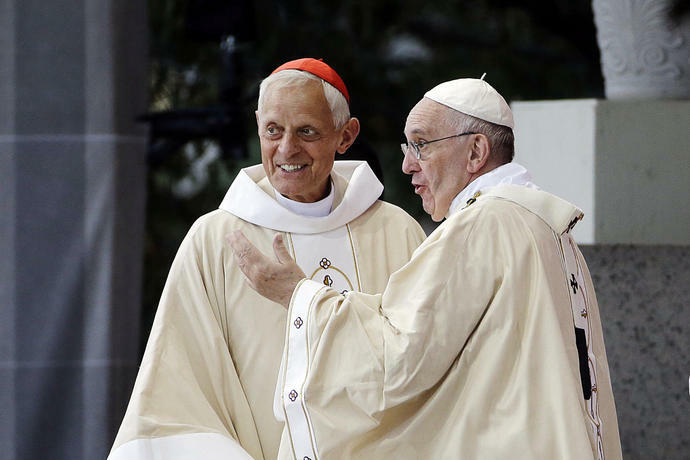 FILE - This Wednesday, Sept.
VATICAN CITY (AP) - Pope Francis accepted the resignation Friday of the archbishop of Washington, Cardinal Donald Wuerl, after he became entangled in two major sexual abuse and cover-up scandals and lost the support of many in his flock. In one case cited in the report, Wuerl - acting on a doctor's recommendation - enabled the Rev. William O'Malley to return to active ministry in 1998 despite allegations of abuse lodged against him in the past and his own admission that he was sexually interested in adolescents. Years later, according to the report, six more people alleged that they were sexually assaulted by O'Malley, in some cases after he had been reinstated.